Kids are honestly the best. Their fun-loving, honest personalities can make even the grumpiest of grumps smile and laugh. I would love to spend day in and day out with kids, but I’m not too fond of the idea of 17 years of schooling just to be thrown back into a classroom. Thankfully, teachers aren’t the only professionals that get to spend their time with children. These careers are just as rewarding, involve children, and don’t (typically) require a degree in early education. 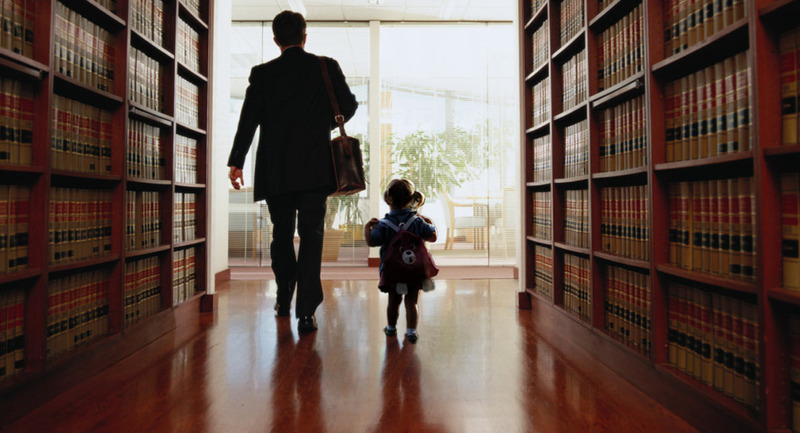 From juvenile law to guardian ad litem work, being a lawyer is both an interesting profession and also a great way to help children. Examples of what working with children in this field include helping juvenile delinquents in court, ensuring children’s needs are being considered in a custody battle and even helping with the adoption process. Whatever type of child law you may go into, this requires law school, which may deter some. However, if you have the motivation and passion, being a lawyer helping children may just be the career for you. If science and math are your strong suit, consider this field. Pediatricians work directly with children, ensuring their physical health is kept up with. The bond built with the children is similar to that of teachers without the classroom mayhem. Of course, this requires medical school and lots of dedication, but do it for the kids! Ensuring children’s mental health is taken care of is essential. There are hundreds of reasons why a child may need to talk to their psychologist, with or without their parent. Providing the care and comfort to these children is incredibly rewarding. Like a teacher, you’re a confidant to these children, and they know they can always come to you. If you are interested in psychology and also want to work with children, this career may just be perfect for you. There are plenty of charities out there that are centered around children and their wellbeing. Individuals working for these charities may work directly or indirectly with the children. Kids in Need, SOS Children's Villages and I Have a Dream Foundation are just a couple examples of charities helping kids. Although this is not a job for the weak-hearted, those determined to help children get out of bad situations will thrive in this field. Social workers are responsible for ensuring the wellbeing of the children they are assigned. This may be tough in cases of abuse or neglect, but social work is one of the most rewarding fields out there. The possibility of helping a child get out of harm’s way is an honorable profession, and it means spending much of your time surrounded by the young ones. My mom is a teacher. I know it's a phenomenal profession with its own rewards and relationships. However, I also know that not everyone is cut out for that field. Don’t rule out working with kids though—teaching goes beyond the textbooks.